Have you had our Americano? It’s seriously delicious. 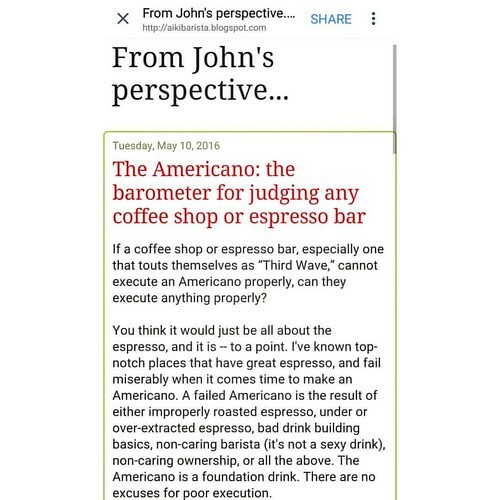 John did a post “The Americano: the barometer for judging any coffee shop or espresso bar” on his personal blog. You can read the full article here.